Small businesses across Staffordshire are being encouraged to be more vigilant in the on-going fight against Modern Day Slavery. Staffordshire’s Police and Crime Commissioner’s Office has commissioned Staffordshire Chamber of Commerce to support the fight and encourage businesses to pledge to the OPCC’s awareness campaign. Currently, only businesses with a turnover exceeding £36m are required by law to ensure their supply chain is free from slavery, but all organisations can play their part, no matter how large or small. Now, Staffordshire Chamber of Commerce, is working with the OPCC to encourage small businesses to sign a pledge to eradicate Modern Day Slavery within their workforce and supply chains. The Chamber are working with the Voice of Hope, an organisation supported by the OPCC, to deliver training and awareness across Stoke-on-Trent and Staffordshire, taking a stand against the crime. Deputy Police and Crime Commissioner Sue Arnold, said: ‘I know that businesses across the area are passionate about eradicating this kind of crime but awareness is the key to tackling it. ‘Staffordshire Chamber of Commerce will help ensure companies sign up to the pledge to eradicate this despicable crime – signposting them to the relevant skills to detect and address slavery in their supply chains. Staffordshire’s Chamber of Commerce Chief Executive, Sara Williams, said: ‘We are proud to be working on this important project. ‘Modern slavery and human trafficking are abhorrent crimes that can often go unseen, and we encourage businesses of all sizes to sign up for the training, adopt the pledge and play a part in tackling this problem. More than 70 delegates from across the area, attended the first of many awareness courses at the Bridge Centre in Stoke-on-Trent with more scheduled in the coming months. The aim is to sign up a minimum of 150 businesses in the first tranche. 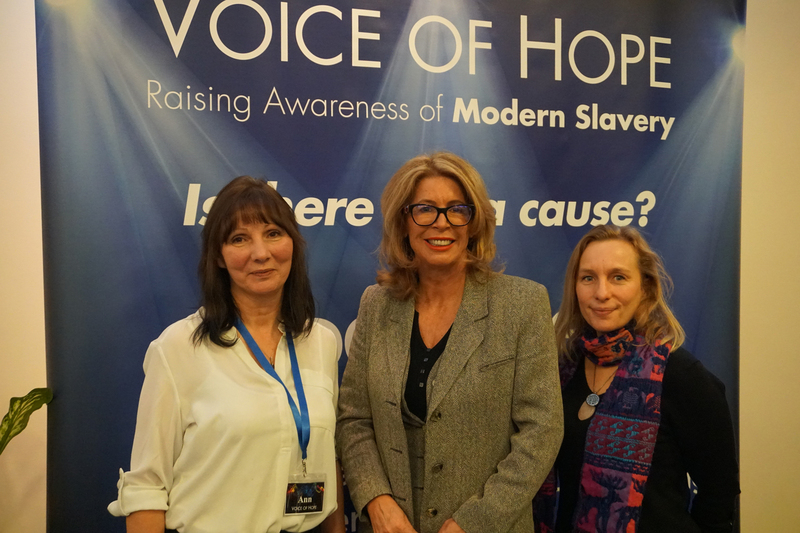 Ann Graiger, from Voice of Hope, said: ‘As an organisation we want to reach out to as many organisations as possible to raise awareness of the plight so many face. The pledge and policy has been drafted in an easy-to-follow format. Slavery is closer than you think. It happens all over the world including the UK. Find out more at www.modernslavery.co.uk or call the helpline on 0800 0121 700.